The New Sofia and Sam Oversized Lap Desk with Wrist Rest, USB Light and Tablet Slot is the ultimate portable workspace. Comfortably use your tablet or large laptop computer with a mouse from a chair, sofa, or even in bed. Works great for crafts and studying. 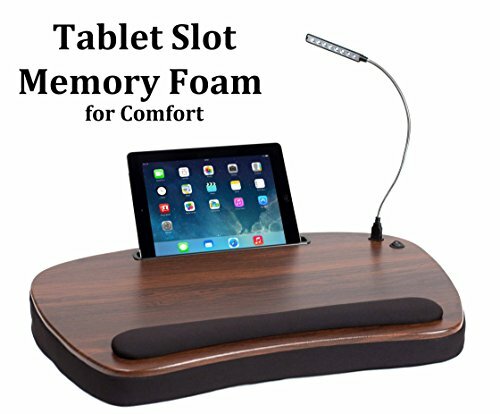 The lap desk has a luxurious cushion of furniture grade memory foam for total comfort and support. Large work surface 22" x 14.5" x 2.55"
If you have any questions about this product by Sofia + Sam, contact us by completing and submitting the form below. If you are looking for a specif part number, please include it with your message.